In the late ’90s and early 2000s, the Portland Trail Blazers were one of the hottest teams in the NBA. For almost a decade, they won 60 percent of their games while making it to the Western Conference Finals twice. However, what happened off-court was just as unforgettable as what they did on the court. When someone asked Blazers general manager Bob Whitsitt about his team’s chemistry, he replied that he’d “never studied chemistry in college.” And with that, the “Jail Blazers” were born. Built in a similar fashion to a fantasy team, the team had skills, but their issues ended up being their undoing. In fact, many consider it the darkest period in franchise history. While people think of the Detroit Pistons of the eighties as the elite “Bad Boys,” the “Jail Blazers” were actually bad. 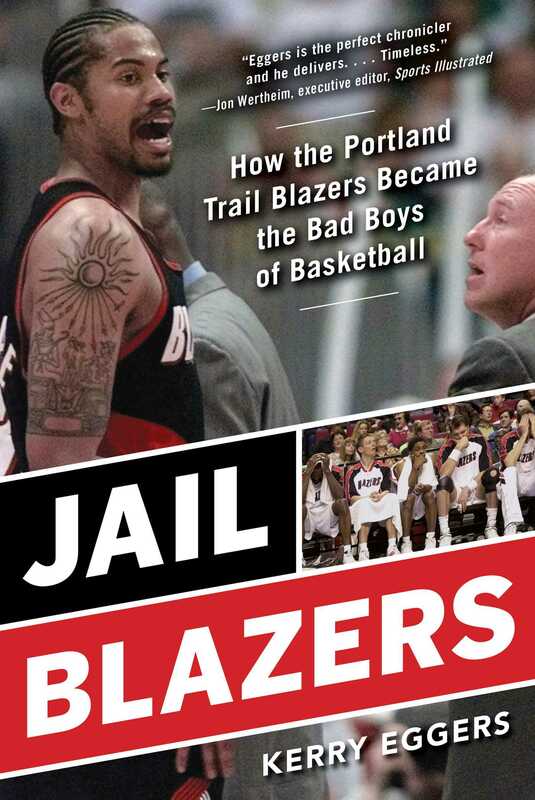 Author Kerry Eggers, who covered the Trail Blazers during this controversial era, goes back to share the stories from the players, coaches, management, and those in Portland when the players were in the headlines as much for their play as for their legal issues. Kerry Eggers is a sportswriter who has covered Portland sports for more than forty years, writing for the Portland Tribune since its inception in 2001. He is a five-time winner of the Oregon Sportswriter of the Year Award and has covered major sporting events throughout his career, including the Summer Olympics, Super Bowl, World Series, and NBA Finals to name a few. He is the author of six books, including Blazers Profiles, Clyde the Glide, and The Civil War Rivalry: Oregon vs. Oregon State.